In celebration of his first solo CD release, former Jersey Boys star Erich Bergen will debut his new club act at The Magic Castle in Los Angeles on Wednesday, September 15 at 8pm, and following that performance, he will be appearing at Center Theatre Group’s Kirk Douglas Theatre in Culver City as part of the cast of Venice from October 7 through November 14. Erich Bergen recently completed a three-year run starring as Bob Gaudio in the Tony and Grammy Award-winning Jersey Boys, as part of the Los Angeles, San Francisco, First National Tour and Las Vegas companies. Other recent credits include Gossip Girl (CW Network), White Christmas (Pantages Theatre), and A Funny Thing Happened On The Way To The Forum (Reprise). In 2009, he co-produced, directed, and served as musical director for Las Vegas Celebrates the Music of Michael Jackson, a benefit concert which raised $118,000 for Music Education in Nevada public schools. 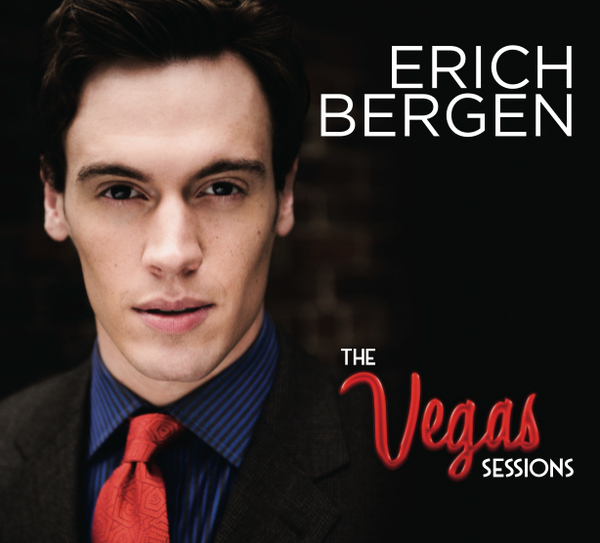 Bergen’s CD, titled The Vegas Sessions, will feature new studio recordings of original compositions in the pop genre, along with live tracks recorded during three sold out Las Vegas appearances at the Liberace Museum in April, 2009. The disc will be available for purchase at the Magic Castle on September 15, and then October 1 at Amazon.com, CD Baby, iTunes and other digital music outlets. The Inner Circle at The Magic Castle (7001 Franklin Avenue in Hollywood) will host Bergen’s California club act debut on Wednesday, September 15 at 8pm (doors open at 6:30pm). 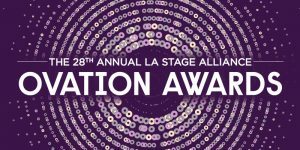 Tickets are on sale now, at $15 for Magic Castle members and $25 for guests; there is VIP seating available for $50, which includes a copy of the CD, a post-show reception, meet-and-greet and a champagne toast. Reservations can be made at boxoffice@magiccastle.com or by calling (323) 851-3313, ext. 303. Attire at the Magic Castle requires jackets and ties for gentlemen, and absolutely no denim. Bergen will appear in the world premiere of Venice, a new musical with book by Eric Rosen, music by Matt Sax and lyrics by Matt Sax and Eric Rosen with additional music by Curtis Moore, at Center Theatre Group’s Kirk Douglas Theatre. Beginning previews on October 7 with an official opening set for October 17, the limited engagement will run through November 14 only. Due to Erich’s participation in this exciting new production, his previously announced concert date at the Rrazz Room in San Francisco will be rescheduled for early 2011. 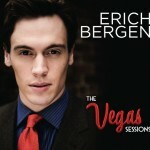 Visit Erich Bergen at www.erichbergen.com, on Facebook at facebook.com/erichbergenfans, and follow Erich on twitter @erichbergen. The Magic Castle, located at 7001 Franklin Avenue in Hollywood, is the world’s most famous club for magicians and magic enthusiasts as well as the home to The Academy of Magical Arts, Inc. Known worldwide as the showplace for some of the greatest magicians from around the globe, its latest artistic contribution, the Cabaret at the Castle, has also become the cabaret stage at which to appear in Los Angeles and whose recent performers have included Carol Channing, Florence Henderson, Lee Roy Reams, JoAnne Worley, Jason Graae, Ilene Graff, Rachel York, and the recent addition, once a month, of the popular New York hit Cast Party with Jim Caruso and Billy Stritch.